In February 1939, the fall of Barcelona causes a major exodus. Close to half a million people flew because of Franco’s troops and crossed the Pyrenees. It is called the Retirada. Clavé is one of these refugees who were interned into a camp in the Eastern Pyrenees right upon arrival in France. 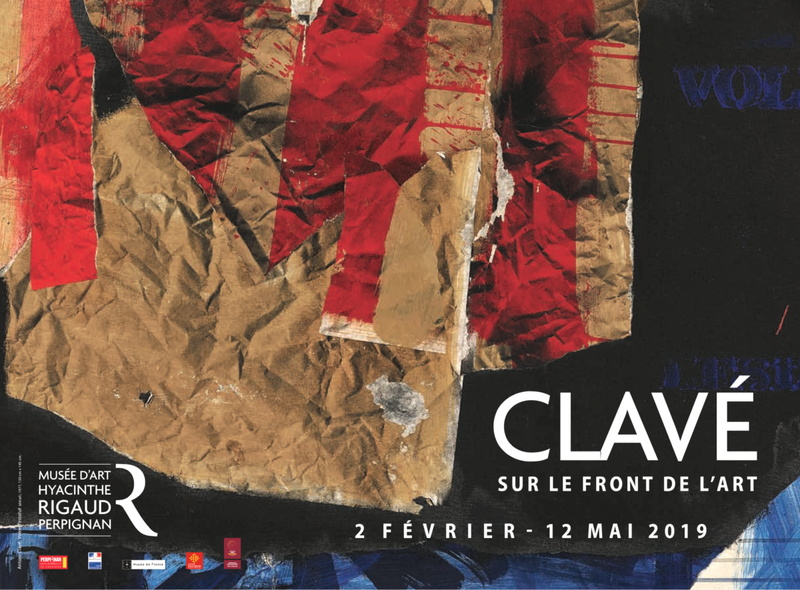 In February 2019, the commemoration of the Retirada is the starting point of an exhibition dedicated to Clavé at the Musée Hyacinthe Rigaud in Perpignan. It is the occasion to discover (again) the very peculiar path which the artist took: the Spanish war, the arrival in Perpignan and the exile towards a new life. The exhibition ‘Clavé on the art front’ (Clavé sur le front de l’art) presents 70 years of creation: some film posters created in the thirties in Barcelona, his first Parisian works inspired by Bonnard and Vuillard, the kings and warriors which made him famous, some tributes to El Greco, some ‘creased papers’ and also some big-size paintings from the 1990s and 2000s. 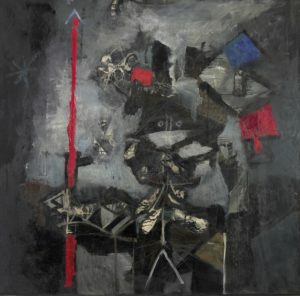 The warrior character, that one can notice in his paintings and sculptures, is demonstrating how the style and technique of the artist evolved over time. 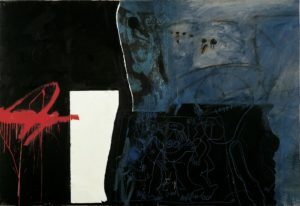 Beyond mediums and styles, Clavé never gives up incorporating some human presence, including when broaching abstraction and the major artistic revolutions of the 20th century. 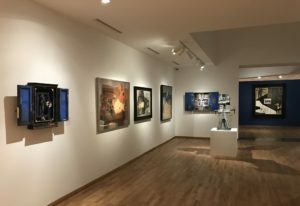 Major loans from the Centre Pompidou, the Musée d’art moderne de Paris, the Barcelona Museum of Contemporary Art, the Museo Nacional de Arte Reina Sofía and from the Generalitat de Catalunya are on view, offering the visitors a selection of the artist’s major works.